NOTE: Share count have been reset for this post due to an outage as advised by ShareThis (April 2017). Share Counts here reflect the shares after the week of the outage only, that is, after April 10, 2017. 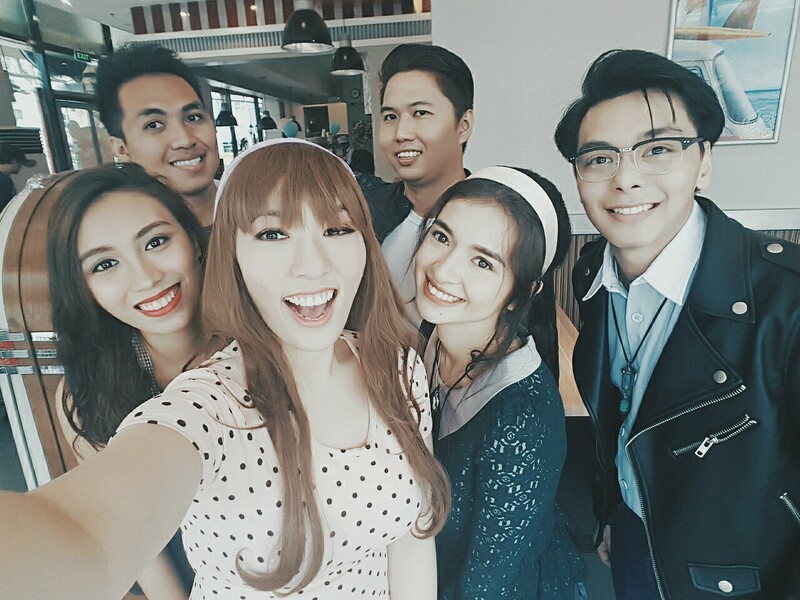 I recently had a film shoot where the theme was to look like in the 1950s era. 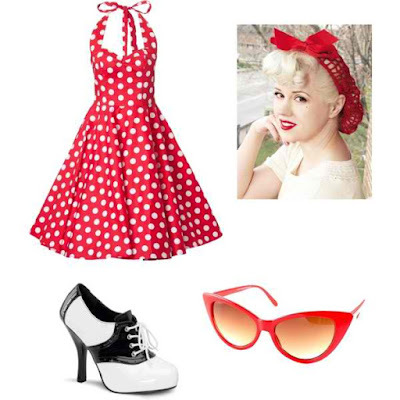 I was sent a few photo references of the 1950s fashion for costume purposes but I had another idea in mind. Guess what? 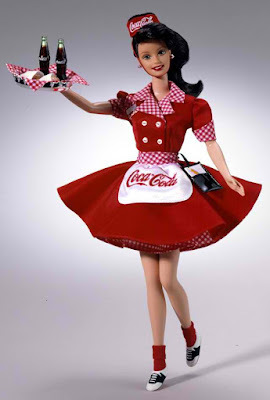 Well yeah, you probably guessed it right ... 1950s Barbie Doll! 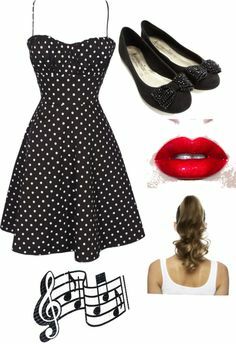 I researched a little bit more about the 50's fashion so I can match the look. It was only 2 days before the actual shoot so I didn't have much time to prep as well. It's not like I have a major role in the film though. But I love cosplay makeup transformations so I just wanted to make sure I look the part. I did this look for my friend's film (Eric Ejercito) together with our other friends ... I did a bit of research and voila ... easy-peasy! 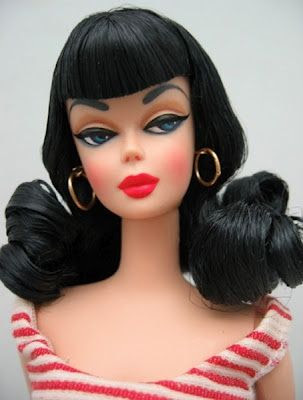 I get to transform to this 50's Barbie Doll Look! I used really cheap beauty products here! Beauty on a budget! I believe that in cosplaying, my makeup doesn't really need to be expensive. Most of the stuff I used and have now are just gifts to me from my friends, while a few, yes, I bought them. I know it's really tempting to spend a few more for makeup but for the time being, this will do for me hehe. So what looks were popular during that time? To think of 1950s fashion is akin to a bright summers day! Glamourous shapes, colourful prints and always exaggerated with voluminous skirts and tiny waists ... this was noted from the post 1950s Fashion & Style Guide from The House of Foxy's post. 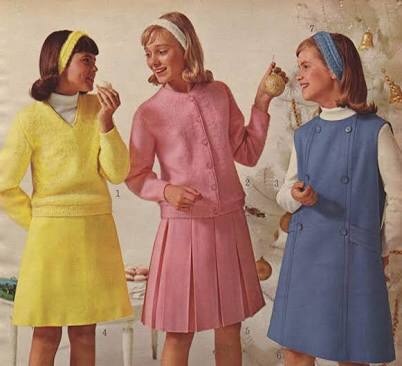 The popular trends included polka dots, stripes, loud colors, petticoats, full skirts ... the pencil skirts were also cool back then, as I read, and fitted ones. 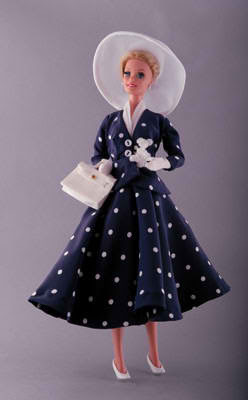 I didn't have that exact look so I searched further for the dolls look. The retro fashion looks so darn cute and I wanted to achieve these exact looks however, yeah, I was pressed for time. The colorful outfits, the Jackie O headbands, the polka dots and fitted clothes, the shoes ... ohhhh so lovely vintage looks! I came across the Barbie Dolls and yup! No further! Haha! The dresses were beautiful but I know I couldn't pull off those exact, same looks in a very short span of time. I did use the photo references for the makeup look though. 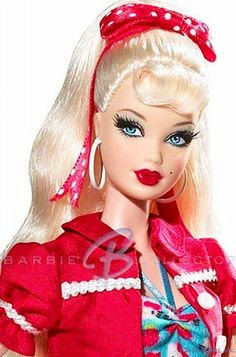 The light makeup look on Barbie's face was my inspiration for this overall look - natural-looking eyeshadow tones, light pink links, lightly blushed cheeks, it's like a no makeup look kinda thing too; like a "day makeup" that we can all do these days. The curly / wavy hair ... geez! I didn't have that much curls on the wig I have but yeah, that'll do I guess! Maybe next time, I'll be able to do just as how Barbie looked in this 50s Iconic Barbie Doll. That bag, that big and fluffy pink skirt, the brogues, that Barbie jacket ... everything is on fleek! But yeah, all I can use from this photo reference is how her makeup looked like haha. For the earrings, I just used pearls to add to that retro-vintage-vibe. I had other accessories but I didn't bring them all up during the shoot so yeah, that'll work. And oh! That big waisted-belt too! I'd love to achieve this look! Oh well, yeah, maybe in some other shoots haha! What do you guys think? Ain't this cute? Our set was in a diner actually, at Johnny Rockets - Eastwood Libis Branch. I definitely had fun with the team for this flick. T'was my first time to meet them and yet they were all lovely. Seemed like family! and the film stars ... Shy Carlos and Eric Ejercito! So happy to be part of this film. I think it's a Viva Vilms entry for Cinemalaya 2017. Hopefully we'll get to see it soon! Check out the outfit / costume selection and makeup transformation, and products I used in this transformation video ... Most of the products I used as well are from my favorite Korean skin care brand online shop - Althea Korea (Philippines); and also, a number of makeup products from gifts from my friends. 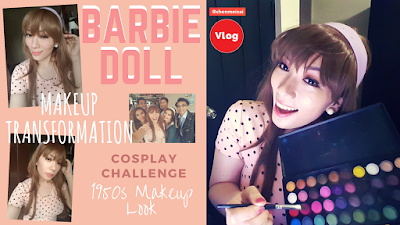 Watch it here ... it's been quite a popular online challenge as well you know, those viral and trending videos #DontJudgeChallenge so I did it the cosplay way as well. I had some videos like this as well in my channel. Go check it out in my playlist. Maybe, you guys can just SUBSCRIBE to my Youtube Channel too! It's Youtube.com/User/chenmeicai! For more videos like this one, and other stuff of interest, go check out my channel, guys! Thanks a lot for everyone's support!